Introducing a lighter margarita so Taco Tuesday doesn't completely derail your new resolutions! Makes 1 drink. 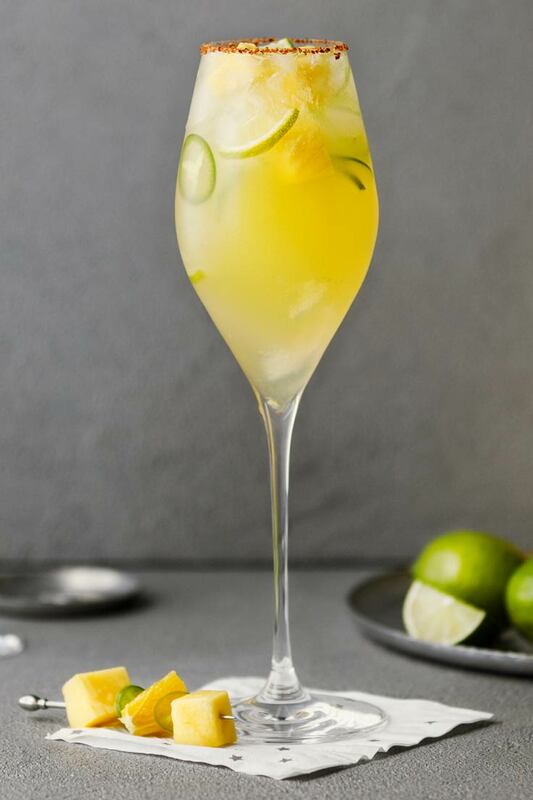 Pour tequila, orange juice, Mango and Lime Flavorings, Blue Agave Nectar, and jalapeño slices into a cocktail shaker. Fill with ice and shake well to chill. 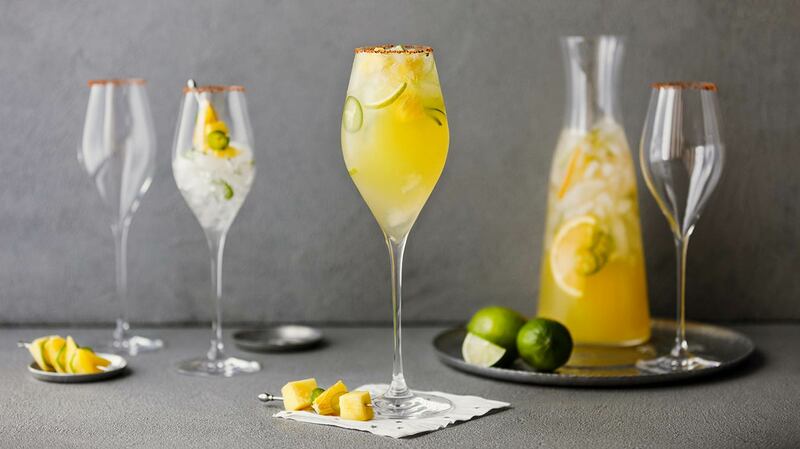 Rim a glass with lime juice and tajin seasoning. 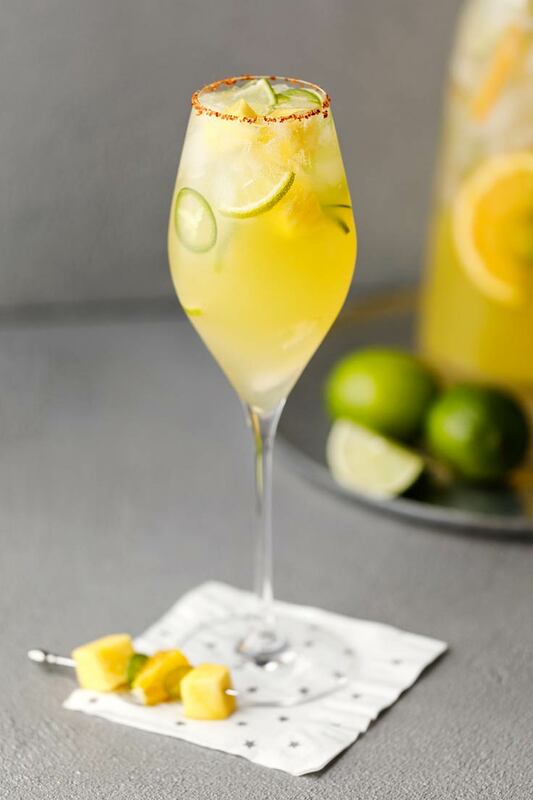 Pour into rimmed glass and garnish with mango and jalapeño slices.